The gym situation in Kigali is picking up! I originally wrote this article way back in July 2011 and, since then, new gyms have opened and the Kigali gym scene isn’t quite as full of despair as it once was. There are now gyms scattered all over town so there should be a good choice somewhere nearby, no matter where you live. Here’s a rundown of all the gyms we know of in Kigali for you to get nice and sweaty and show off your muscles. 15,000 or 20,000 for a month (depending on whether you ask a Rwandan member or at the front desk). The gym is found inside the stadium entrance nearest to Sports View hotel. Semi-functioning weight equipment and 4 old spinning bikes are jammed into the back corner while most of the space is used for aerobics classes between 5:30 and 8:30 pm. It’s worth going once to see a class in action, with pumping music, hooting and hollering, and sweaty heat in a small space. Some friends really enjoy these classes, because it makes working out a very entertaining experience. This new gym is in a fantastic location for everyone living out in the Nyarutarama, Kibagabaga, and Gacuriro areas. It’s a much better (and cheaper) alternative to the gym at The Manor with friendly staff, a nice owner who is very into fitness, and brand new machines imported from the US. The gym is set over two floors with most of the equipment upstairs and a room for classes and massage downstairs. The building is nicely lit, there’s a lot of space, the back window has a good view and, possibly most importantly, they’re located right next door to the Nyarutarama Hero Shop. 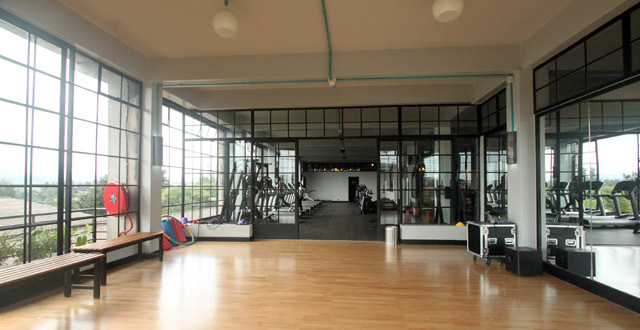 This is definitely the gym with the best view in Kigali, located on the top floor of the new market building in town. It’s a hectic area and probably a huge pain in the arse to park, but it’s a good gym (they even have a rare rowing machine and a ping pong table!) and it’s cheap. There are changing and shower facilities, the staff member I spoke with was very nice and helpful, and the space is pretty large and well-equipped. It’s nowhere near as nice as Waka or Serena but it’s also nowhere near their prices, either. I very good option for people who live near town. Heaven Fitness Center is now open, and it’s pretty sweet. Located at Heaven’s Garden Chalet property, their fitness center features Technogym & Exigo equipment, free weights, a stretching area, indoor/outdoor showers and the entire space opens completely to the garden. Limited memberships available for the community. Members also get access to their salt water, solar heated pool (the only one of its kind in Kigali) and a 15% discount on all meals at Heaven Restaurant next door. The Lemigo Hotel’s gym is priced pretty competitively but the reality is that it’s small and that price doesn’t include the pool or the spa (sauna etc). For those extras you’ll need to pay US$150 per month or if you just want to swim, that’ll cost $100. The gym itself is a bunch of equipment crammed very close together in a small room right in front of the reception area. It’s not really that inviting and I think I’d get claustrophobic if I attempted to work out there. There was nobody there on the Wednesday afternoon I stopped by but I can image it would get really stinky and crowded if there were more than a handful of people working out at once. For the price, I wouldn’t recommend this place unless you live really close. The Manor Hotel gym is well stocked with very shiny and new looking gym equipment. The boxing area complete with punching bag and also a dummy to hit are also a nice touch. The gym was empty when I visited at about 5pm on a Monday except for one guy puttering around on the weights. It feels slightly claustrophobic as it’s located in the basement of the building without any windows to speak of and there are a lot of machines crammed into a reasonably small space. The Manor has a what looks like a top quality gym at an ok price for Kigali, especially if you buy several months in advance. 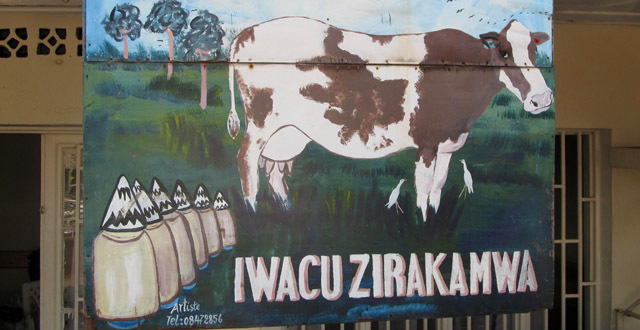 The monthly price is Rwf 35,000 is 100,000, and a year is 380,000. The price is a good one considering it also includes the swimming pool. The pool isn’t huge and you’re probably not going to be able to do laps due to it being filled with hotel patrons, but it’s got probably the best pool view in Kigali and it makes for a great place to relax after a workout. The Manor makes a good choice at this price point if you live in this part of town. The gym at the Kigali Marriott is one of the newest spots in town. They’ve got some of the most advanced equipment and, though small, it’s got enough for a good workout. They’re especially well-stocked in the cardio department. The gym is down in the hotel’s basement near the spa and it’s not as open as some other places, but when you consider it includes the excellent pool, it’s easier to look past. Rates include the gym, fitness classes, sauna, steam room, and a pretty epic swimming pool. Plus you get a discount of 20% on all food and even alcoholic drinks at all of the restaurants and a 10% discount on spa treatments. I’m pretty sure the gym at the Nyarutarama Sports Complex is where gym equipment goes to die. There’s not much power in there and the aerobic equipment consists of a few stationary bikes that look like they’re from the 1970’s, four treadmills (with only one that works… the rest are there looking very sad), and two unplugged rowing machines. There are some big man-weights towards the back of the small room and some other weight machines scattered around. The gym is tiny and I was the only person in there which felt pretty awkward. The trainer guy who was managing the gym was friendly enough but I’m not really that keen on being watched as I wrestle with scary gym equipment. It’s small and stuff and filled with crappy equipment but it’s also one of Kigali’s cheaper options so you get what you pay for, I suppose. Park Inn’s gym is spacious, nicely laid out, and stocked with a great selection of brand new equipment. The hotel is brand new as well and it’s sparkly and nice and the gym is the same. It’s got a view over the pool with all of the equipment facing the sunny window. The changing rooms are small and simple and equipped with lockers, two showers, a sauna, and a steam room. The Rwf 8,000 price for a day pass includes the sauna, steam room, and swimming pool so it’s a great deal if you want to spend the day here. The couples rate of Rwf 13,000 makes it even more enticing. Come for a meal and their great restaurant and you can make a nice hotel day out of your workout. When I went in to ask at the Serena how much it cost to use the gym for a day and they told me $30, I think I might have actually laughed in their face. I then mumbled something like ‘uh, wow, too expensive’ and then backed away slowly in an ‘I’m not worthy’ sort of way. That was eight years ago and they’ve since raised their crazy prices to an even crazier level. The only way mere mortals like myself could afford the Serena was to pay a year in advance. But their prices were raised in November 2013 with the annual fee going from US$1,100 up to $1,700. Kind of a ridiculous jump considering nothing has really changed in the gym. The manager claims that the prices were already artificially low compared with Kenya and Uganda and I claim I don’t care… that’s a huge price increase and if you want to throw that at me then I want to start seeing champagne in the changing room, dammit. Ah well. It’s a love/hate relationship I have with Serena. But the Serena is pretty swanky and the gym is no exception. I’ve never been in a gym changing room that actually smells good but the people at the Serena have managed to pull this off. There’s a sauna, steam room, and a jacuzzi along with amazing showers and even lounge chairs. They give you big, fluffy towels and they even have free q-tips and juice. Score! The gym itself is fairly small but sufficient. It gets busy after about 6pm but during the day I’m often the only person there. It’s got a stretching/free weights room as well as a small selection of weight machines, three treadmills, two cross-training machines, two sort of cross-training machines, four bikes and a step machine. There’s also a large room for classes. The pool is included and it’s an awesome pool. The Umubano gym is small, but the equipment is nice. It’s a popular workout spot and you’ll probably see a lot of people you know here if you’ve spent a decent amount of time in Kigali. The changing rooms aren’t as nice as the Serena but they’re adequate for the price. There’s also a sauna which is included in the price. I liked that the side of the gym is made up of glass windows and doors… it makes the space feel a little less cramped. The gym fees don’t inclue the pool. If you’d like to also take advantage of their large pool, you either have to pay Rwf 6,000 per session, or Rwf 100,000 for a year. If you’re joining for a year then you can pay Rwf 495,000 for both the pool and gym. Then there are extra fees for classes (Rwf 4,000 a class) and lots of other variations on memberships. It’s confusing but I guess it’s good to have options! If you want a pool and a decent gym at a good price, Umubano is probably your best bet along with The Manor Hotel. It’s not as fancy as Waka or Serena but it’s also about half the price and fairly centrally located. They wouldn’t let me take a photo, though. This place is awesome. For anyone serious about their health and fitness, Waka Fitness is the complete package. Their goal is for you to reach your goals and I get the impression that they won’t let you slack! When you join you speak with a consultant about your goals and they take a bunch of measurements and do a fitness test. They they work with you to make sure you achieve those goals. It seems like more than just a gym… Dennis, the owner, says he wants it to feel more like a community and from what I’ve seen, he’s well on his way. 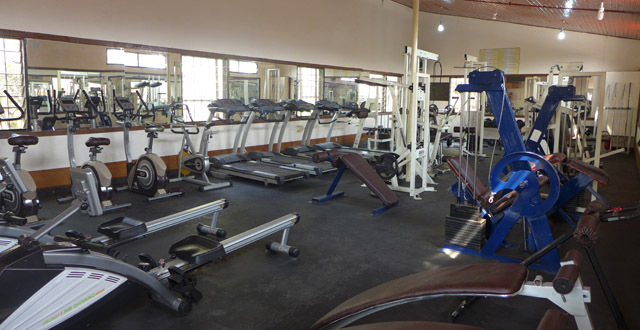 The gym is in a super central location in Kimihurura and it’s packed with great equipment. The space is large and very nicely designed with an airy room for classes, a section dedicated to working out using your own body weight, a boxing bag, all of the usual weights, and loads of cardio machines including a rowing machine. There’s a shared sauna and the showers and changing rooms are very nice. 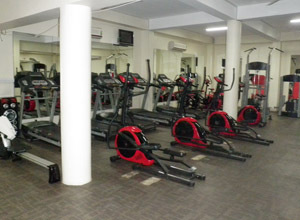 This is the best gym in Kigali and, besides the Serena, they’re the most expensive. But if you’re serious about fitness and want to be a part of a developing community, it’s the best choice in town. The prices have recently been lowered and are much more competitive and really make WAKA the best choice for anyone serious about fitness. The off-peak deal makes the offer even sweeter so if you prefer to work out before 4:30pm or after 8pm or on the weekends then the Rwf 51,000 a month is a pretty great deal. The service at the Serena’s gym, Maisha, has been fantastic during the day and on the weekends. It is always clean, the staff is attentive, kind (and fun! ), and it’s an overall enjoyable experience. It’s the highest quality of equipment that I’ve found in Kigali, as well. There’s rarely a wait for the equipment you want to use which is great! So, I signed up for my annual membership, and then went for my first weekday evening visit. Completely different experience! The floor of the locker room was covered in trash, used towels, and pieces of hair extensions. The showers were filthy. The shower dispensers were out of body wash, and there was no locker room attendant to be found. I went up to the gym, and had an equally bad experience. There were no clean towels available, yet the floor was littered with dirty towels and used glasses. I could not find an attendant to give me a clean towel. It was truly disgusting. And I’ve now experienced this several times. Lesson learned, I should have gone for a night visit before committing to a year. I expected so much more from the Serena! I don’t understand how service can change so drastically from day/weekend to night, but I hope this can be rectified in the near future. Again, it really just depends on the time of day that you visit, but please take this into consideration before signing up for a long term membership! Thank you for this great review. 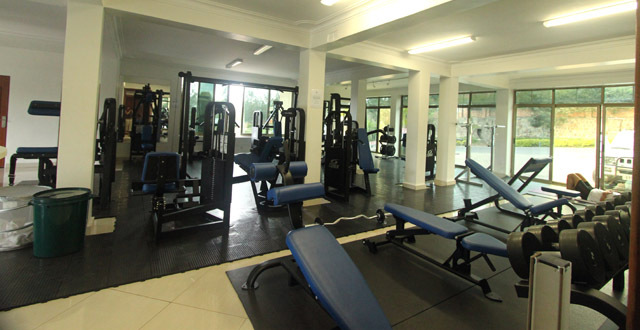 What is the daily or monthly fee for using the gym at the Laico Umubano Hotel? Lemigo Hotel just raised their price from 30 to 40,000 rwf per month or 5,000 rwf per session which is totally unreasonable. small space, lack of weight machines but has a good shower room. the gym instructor there just watch you & i don’t think he has an idea of what it is to be an instructor. On the other hand, Be Fit 24h, the gym at Amahoro Stadium is a place to be for peeps with shallow pockets like me. has nice machines & native people who work out there are very friendly & well educated. they help you spot when doing some bench press & stuff. staff as well are there teach you proper technique on using the machine. best of all it doesn’t smell stinky even on peak hours such as Sunday morning. Did I say that the gym is 24 hours open? There is also another gym which you have not mentioned, the Seven Lakes Gym.. which looks like a spoof of Gold’s Gym. haven’t been there but my room mate said that the place is quite smelly due to the proximity to the river. total suffocation due to small vent windows & the cushions of the machines are totally wrecked out. but has a large selection of treadmills & machines. is there any gym made by parquet? we have been asked to supply equipment to a hotel in Kigali , but need a service technician for backup – anyone have a reliable handyman / electrician? When was this post last updated? So happy to hear that WAKA reduced the price, I was really very expensive, now they have a competitive price, and so far it’s the best gym in Kigali. is there a gym which serves martial art like karate? Or is someone interested in those kind of sport? Please dont hesitate to write here. Thanks.